Reading the Sunday Times last week, I read over and over the interview with Peter Woods published as “Sri Lanka’s 7s Rugby woes.” Why I read it a number of times is that this is a familiar tale. This I will talk after chatting on what Peter has said and the issues that are important and pending for almost over 15 years. I agree with the comments of Peter Woods and there are salient issues that arise. It was in March 2015 that I wrote in this column about the future of Rugby being in Sevens and the need to plan. The consequence was my being asked to show cause for criticising the Union and bringing it to disrepute. The outcome of such inquiry was never communicated to me. The issue to me is not the contents of the inquiry but the continued persecution when the public are kept informed of the issues that affect the game. This leads me to think that that there is a perception that I am a native and hence must bow my head as is the culture in the country. Peter Woods is a Kiwi who was contracted and possibly paid by the Union. What he says may be right and should have been a foreword to the Union. The views of Peter are “I have worked with before in my career, the period I spent in Sri Lanka training the national 7s team, was a learning curve. If I sum up what I have observed during my stay here, Rugby is a puzzle, and there are lots and lots of pieces missing in it, to solve the mystery, where I’m really interested in,” Woods told the Sunday Times, a week after Sri Lanka ended up fourth out of eight nations in the Asian 7s Series. We are almost 15 years after and still virtually remaining in the same place. Talking to the Financial Times, dated March 4, 2015 Fazil Marija says “More preparation would have produced a better finish”. 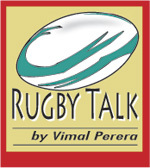 “This indicates that the Sri Lanka Rugby Football Union (SLRFU) was disorganised in its approach to the tournament as there was a period of three months to prepare for it. Had the management put on their thinking cap and sent a development squad of younger players who will be the future Sevens stars of the country it would have been more beneficial than sending the seniors with the Asian Sevens series kicking off later in September with two overseas tours. All these are published and not my imagination. As otherwise I may be asked to show cause. This is an issue as there are men who are willing to sing aye sir.